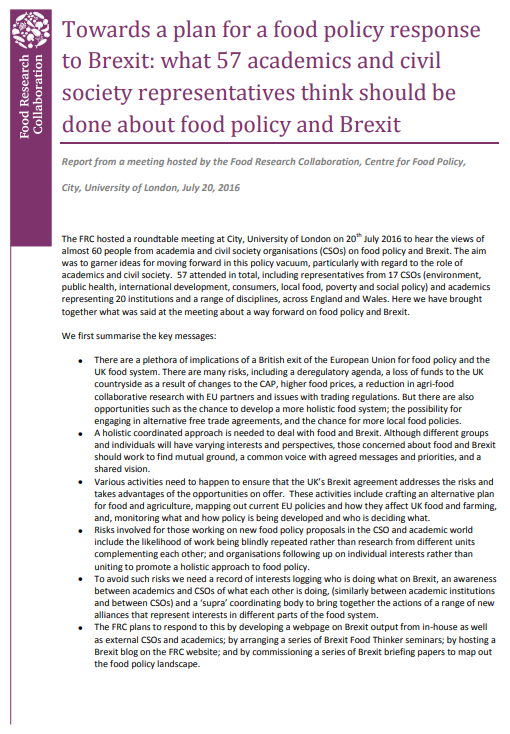 The FRC hosted a roundtable meeting at City, University of London on 20th July 2016 to hear the views of almost 60 people from academia and civil society organisations (CSOs) on food policy and Brexit. The aim was to garner ideas for moving forward in this policy vacuum, particularly with regard to the role of academics and civil society. 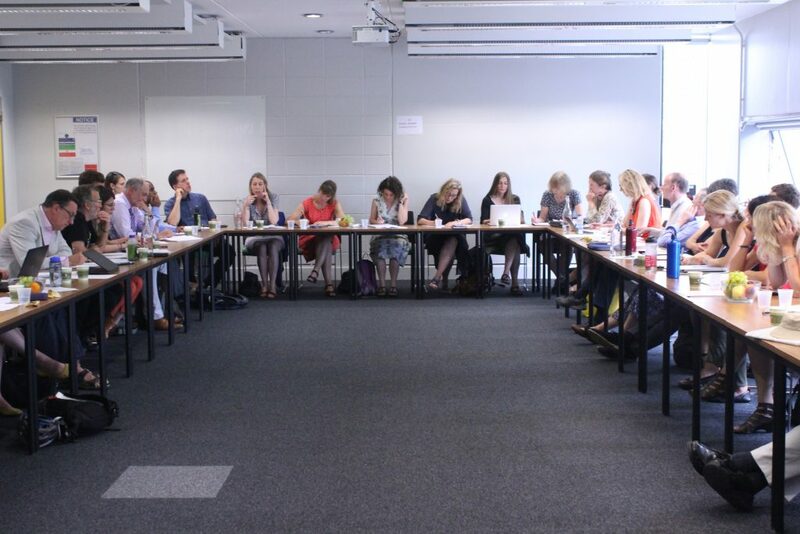 57 attended in total, including representatives from 17 CSOs (environment, public health, international development, consumers, local food, poverty and social policy) and academics representing 20 institutions and a range of disciplines, across England and Wales. Here we have brought together what was said at the meeting about a way forward on food policy and Brexit.